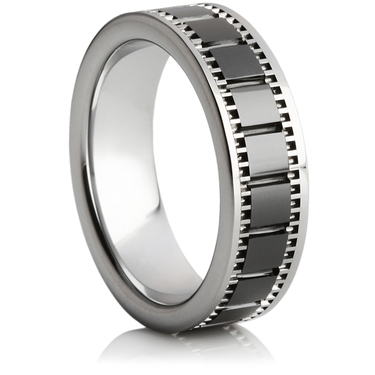 A 7mm wide, heavy weight, flat profiled tungsten carbide ring with a ceramic central section. This ceramic section has the look of the film from a camera. This attractive design would be ideal for an men's engagement or wedding ring.